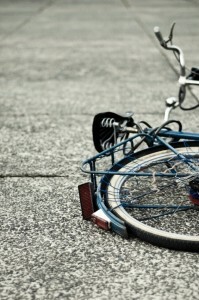 According to a report by NewsOK.com, on the morning of November 7, an Oklahoma State University student was hit by a pickup truck while riding his bicycle on campus. Later in the afternoon, he was reported to be in critical condition. A bike rider was injured in an Oklahoma car accident that occurred near an intersection. According to a News 9 report, the bicycle accident occurred at Sheridan and Western in Oklahoma City the morning of September 24. Officials have not released any information regarding how or why the accident occurred. The bike rider was transported to a nearby hospital in good condition. It is not clear if the driver will be cited for the crash. Street intersections are often the sites of major injury crashes. It is all too common for drivers to speed through traffic lights or stop signs, and fail to yield to the right-of-way, which can cause serious intersection accidents. Driver negligence is the most common cause of intersection crashes in Oklahoma. One person was hospitalized in an Oklahoma City motorcycle accident involving a collision between a motorcycle and a truck. According to a KOCO news report, the motorcycle accident occurred near the intersection of Northeast 23rd Street and North Coltrane Road in Oklahoma City. Officials are looking into whether the motorcycle drove into the truck. One of the motorists was transported to a nearby hospital. It is not clear how the accident occurred or how it could have been prevented.